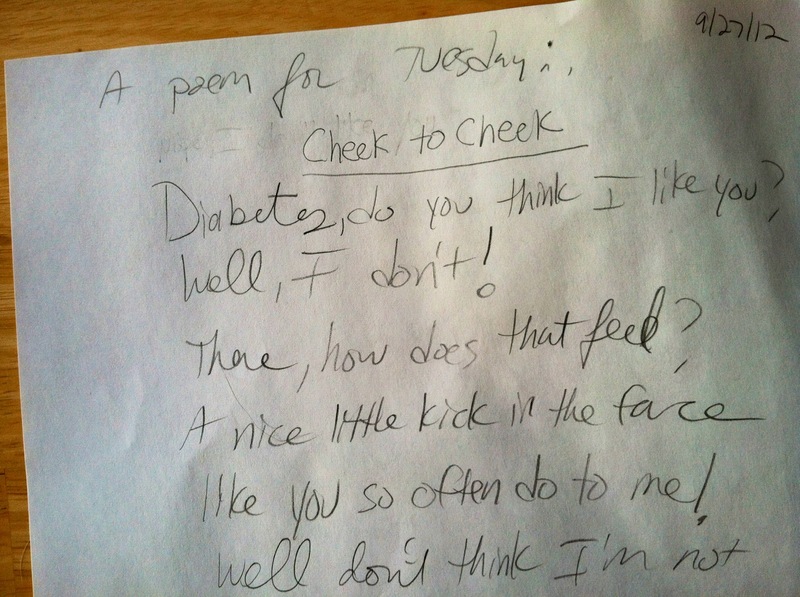 Last week I started a brand new series called, A poem for Tuesday. Well, it’s Tuesday — so here’s another poem for you! 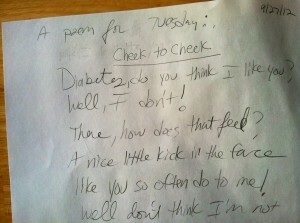 I think we all know how much our feelings can shift from day to day with diabetes and even moment to moment. I hope you will keep this in mind when reading my poems. I work hard to be my positive, best self every day with this sometimes very demanding disease. Thanks for reading. I appreciate your support of my newest expression. Diabetes, do you think I like you? So I will not give up! Please join Diabetes Light on Facebook and Twitter. I look forward to seeing you there!